SwipeToMeet is smart, minimizing the efforts for both organizers and participants by eliminating the need to match calendars manually. 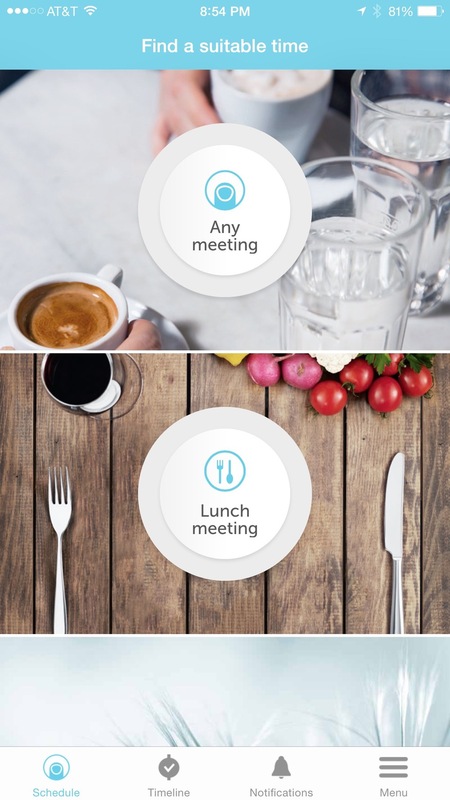 Organizers can set the requirements for the meeting (such as lunch, but not on Tuesdays or meeting in the afternoon, but earliest two weeks from now) and the service magically matches people's availability, in real-time. Organizer's don't have to worry about what devices, participants have. Invitations are delivered via SMS or push notifications and availability is provided simply by swiping via a mobile browser or the app. It's simple, fast, and fun to use. SwipeToMeet does indeed make organizing meetings easy for anyone. At lifewithtech we have been using Meetin.gs pro service to schedule all of our meetings. Meeting.gs pro service does have all the bells and whistles for business users and worth checking out if you need them. While the SwipeToMeet application drives it home for everyday users looking to take the work out of organizing meetings and at a price point of “Free” making it easy to find out how much time it can save you. What are you using to set up meetings? Have you used SwipeToMeet or Meetin. Share with us how they're working out for you down below.